Write the room activities are always a favorite! 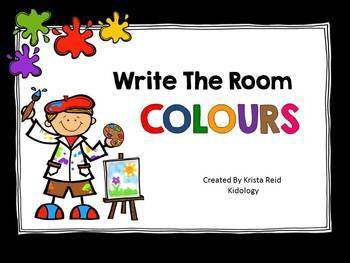 This write the room activity will get your class up and moving around while learning their colours and their colour words. 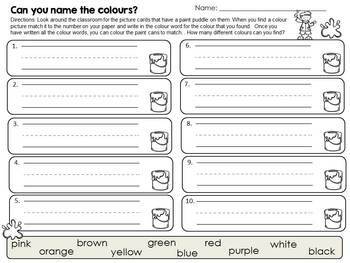 Included with this download is 10 colour cards to be placed around your classroom. While students move through your classroom looking for each colour card they will record their findings on one of four worksheet/recording sheets that are also provided. 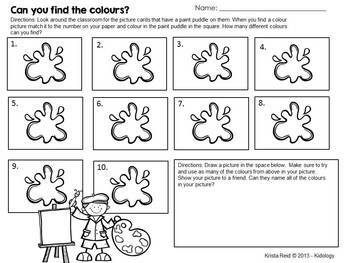 The four worksheets are differentiated to enable you to accommodate all of the learners in your class. 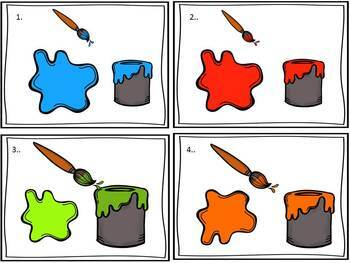 There is one recording sheet for students to match the colour cards by colouring in their worksheet, writing the colour words and cutting and gluing colour words to colours. Please view the preview to see a sample of what is included.